Mahesh Navani, head of management at a major healthcare IT company called eClinicalWorks, did not just find success on a whim or with luck. This resourceful businessman has played a crucial role in 4 companies over the past 10 years, and 3 of those companies are still active and thriving. You might be wondering how Mahesh Navani does it. Here you can read about his advice on the road to success and how to handle bumps in the road along the way. According to Mahesh, there are 5 key components to success, and some of them might just surprise you. How can you possibly further your career in grow in your job title if you don’t feel passionate about what you are working towards? Mahesh says that you need to feel inspired in order to achieve greatness. If you are working a dead-end job that stimulates no inspiration whatsoever, chances are you won’t go very far. Find your passion and draw from your inspiration to make that passion a reality. This is a major downfall on the road to greatness. There are so many distractions in our modern world that can make organization and time management difficult tasks. For example, lots of adults spend way too much time on social media when they could actually be doing something productive instead. If you’re not organized or focused, there is little chance that you will explore far on the path to a inspiring career. Start getting organized by investing in a pocket planner, hanging a calendar on your kitchen wall, or utilizing an app on your phone. This will allow you to manage your time more wisely and lighten the load on your plate. A lot of people assume that leadership means being able to complete a variety of tasks perfectly with no help from anyone at all. This is actually not the case, not one bit. Leadership means being able to realize that you can’t do everything on your own; you need to learn how to allocate tasks to your subordinates and team members. Whatever you do, you need to be patient. Set realistic expectations regarding your goals rather than hoping for quick results. Treat your career and the path to greatness as a marathon, not a sprint. Greatness takes time and it is not possible to achieve it until you have experienced life’s most important lessons. 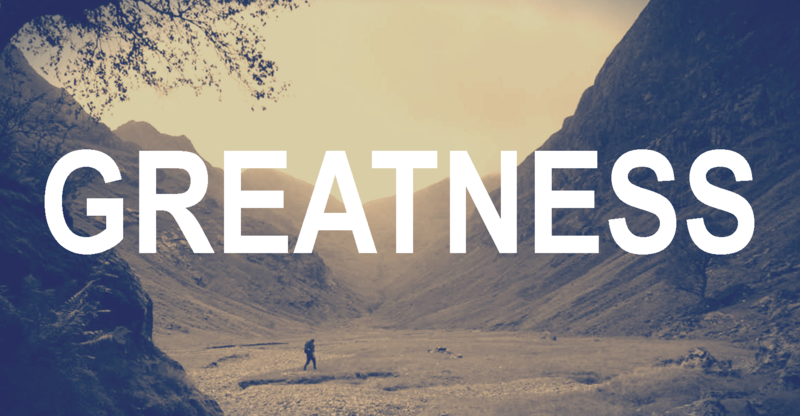 Greatness is how you define it; it is completely subjective. Perhaps you see greatness as one day becoming the CEO of your company. Or maybe you see it as developing a healthy work-life balance. However you define greatness, just try to remember that it is not often all about work, work, work. You also need to experience some fun in your life in order to be happy.